CSEM and Sefar developed low cost flexible, transparent, highly conductive electrodes made of fabric substrates comprising flexible metallic wires and polymeric fibers woven together in a highly transparent and flexible polymer. CSEM and Sefar produced an OLED lighting prototype that uses a backplane based on these new electrodes. Sefar calls this new backplane a fabric SEFAR TCS Planar backplane. These backplanes are manufactured using low-cost, high-throughput processes under standard ambient clean room conditions. 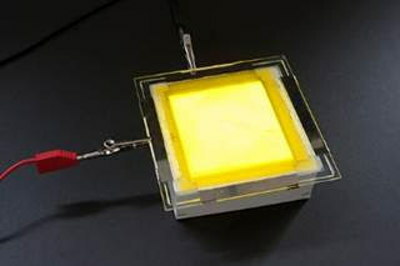 The OLED lighting device prototype was deposited using a coating technology and is made from polymer solution materials.